At last, the time has come, as bags packed, you head off for that well-deserved holiday. Yet for some unlucky travellers, bed bugs can quickly turn a dream holiday into a nightmare. 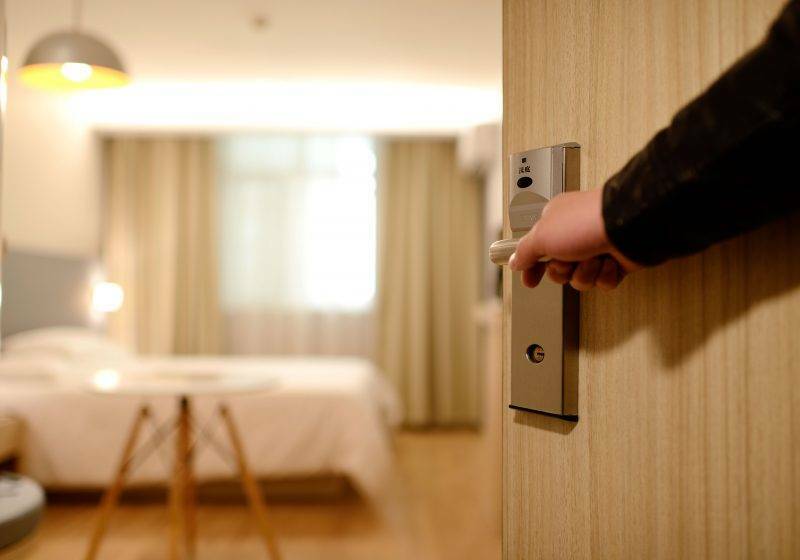 Whether you’re staying at an Air B&B, a time-share unit or even the fanciest hotel, follow these tips on checking your room for bed bugs, to ensure that beach sand, fridge magnets and corny T-shirts are the only souvenirs that come home with you in your luggage. Bed bugs are small, flat, reddish-brown insects that grow to about 5 mm in length. 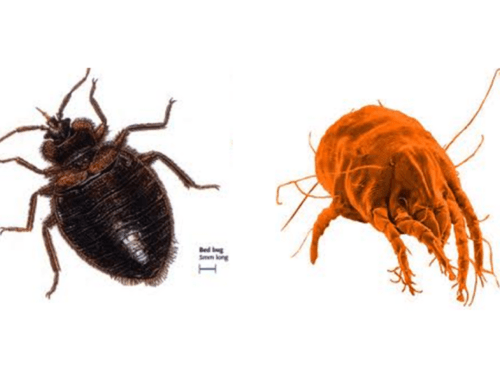 The width of a credit card, bed bugs rapidly set up home in cracks and crevices, preferring places like the seams of mattresses, the inside of bed bases, and behind headboards, where they can be in close proximity to their exclusive food … blood. They launch nocturnal raids on sleeping humans and pets, sucking up a blood meal and leaving itchy red welts on exposed skin. Bed bugs are not only consummate blood-suckers, they’re also highly skilled hitch-hikers. These tiny insects spread by stowing away in clothing, baggage and other belongings, checking in with guests at even the grandest five-star establishments. And the bad news is that what checks in, may also check out, hitching a ride home in your luggage. To keep holiday bed bugs from taking a vacation of their own in your home, here are some tips on how to check your hotel room for these unwelcome creepy-crawlies. Keep your luggage out of reach. When you check in to your room, rather than placing your luggage on the bed or carpet, put it onto the luggage rack or on a hard surface where bed bugs are less likely to be hiding. Before you start unpacking, inspect the room. The first place to check is the place that bed bugs love best: the bed, where they can be closest to their favourite midnight snack. Pull back the sheets and inspect the mattress and base-set for live bed bugs, or the reddish stains of crushed bugs. Look for dark brown or black smears of bug excrement, egg shells and shed skins, and blood spots on sheets and pillows. You might also detect a musty, unpleasant smell. Widen your search. Once you’ve inspected the mattress and base-set, check inside and under bedside tables, in bedside lamps, in curtain folds, under rugs, and in plug outlets. Take care with clothing: may spread into cupboards and drawers, so check these carefully before unpacking your clothes into them. During your stay, put your dirty clothes into a sealed plastic bag to mask their smell from any stray bed bugs you may have overlooked. If you find signs of an infestation, ask for another room as far away from your current room as possible, since bed bugs can travel from room to room with Housekeeping. Once you’re back at home sweet home, take these preventative steps to eliminate any unwelcome hitch-hikers that may have slipped into your clothes or luggage while you were away. Washing your holiday clothes: Keep your dirty clothes sealed in a plastic bag until you’re ready to wash them. Then wash them on the hottest wash you can for at least 30 minutes. Vacuum your luggage, both inside and out, before storing it. Dispose of the contents of the vacuum cleaner outside, or thrown away in the rubbish in sealed plastic bag. Prevent future infestations: Even if no bed bugs follow you home from your holidays, they can hitch a ride into your home from the office, school, and even the shops. Make it a routine to wash your bedding on the hottest wash possible, and dry on high in the tumble dryer for at least 30 minutes. Periodically check your home for bed bugs, looking in similar places to those you checked in the hotel: the mattress, base set, curtains, side tables, skirtings. Protect your bed with bug-resistant covers. In case a bed bug still gets past your defences, invest in a mattress protector that can deter infestations before they start. Buglock Plus from Protect-a-Bed is the world’s top-selling bug-resistant mattress protector. The Buglock Plus encasement uses a patented three-sided zipper system to completely encase the mattress in an impenetrable barrier that ensures any bugs already in residence cannot leave the mattress to feed, and new bed bugs cannot enter the mattress to breed.